In high-performing urban schools, teachers present information in ways that are clear, direct, and easy to understand. Certainly, the logical sequencing of instruction helps make lessons clear. Additionally, however, we found that teachers in high-performing urban schools try to make sure that students understand the first concept before they proceed to teach the second. In contrast, sometimes textbooks and worksheets push teachers to introduce multiple concepts and then immediately ask students to distinguish the ideas from each other. This sometimes results in the “stump the students” game in which teachers pose a question that students have little chance of answering correctly; often the only student who knows the answer is a child who had mastered the concepts long before the teacher introduced them. Sometimes, in these situations, students begin making wild guesses that consume time, without leading students to stronger fundamental understandings. 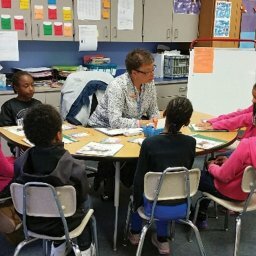 Generally, teachers in high-performing urban schools check meticulously to ensure that students understand one concept before they ask students to distinguish the concept from related concepts and ideas. Teachers work to ensure that students form clear mental images of one idea before they introduce another idea that could be a source of confusion. Clarity is often enhanced through the use of graphic organizers and nonverbal representations. 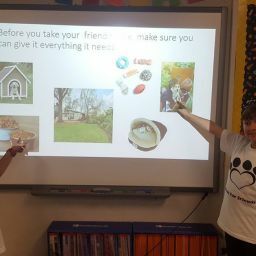 For example, we have observed teachers using pictures, charts, three-dimensional objects, graphs, concept maps, diagrams, and other tools to help students form a clear understanding of a concept or an idea. It is as if teachers have asked themselves the question, “What can I show my students that would make this concept clear to them?” Teachers understand that clarity may be difficult to achieve when they rely solely upon written or spoken language, especially when they are using language that is different from the language children typically hear outside of school. Of course, in many cases, clarity is further enhanced as students are guided to create the pictures, charts, concept maps, and so forth on their own. These nonverbal representations can be particularly powerful when helping students grasp complex, abstract ideas with multiple components. For example, at Hambrick Middle School in Houston, Texas (Aldine Independent School District), we observed social studies students who used graphic organizers to clarify the differences between the Articles of Confederation and the U.S. Constitution. The graphic organizers helped students articulate key concepts so they were able to write detailed reports that made the distinctions clear to readers. Similarly, we observed fourth-grade students at Bridesburg Elementary in Philadelphia, Pennsylvania, select and use graphic organizers to help them develop expository papers concerning Vietnam. Just as clarity is facilitated visually, it is also enhanced through auditory means. In high-performing schools, we observed teachers clearly and audibly articulating important ideas. They pronounced words accurately and distinctly, especially when those words were central to the concepts they were teaching. Teachers used vocabulary students understood while causing students to recall and apply newly introduced vocabulary. Similarly, when teachers engaged students in responding orally, they insisted that students speak audibly and clearly so other students could learn from the conversation. Teachers often encouraged students to pronounce important vocabulary accurately and distinctly. Clarity requires planning. Teachers reported that they spent considerable time planning (often with their colleagues) in ways that helped develop lessons students were likely to understand. Teachers planned in ways that considered not only the content to be learned but also the students who were being asked to learn the content. 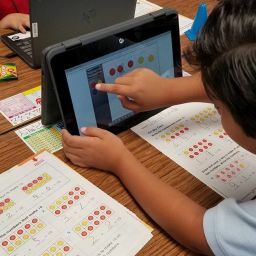 As teachers at Escontrias Elementary planned, they anticipated possible student thinking errors and designed lessons that had a higher likelihood of leading students to an accurate understanding of key concepts. Frequently, planning in high-performing urban schools includes a focus on anticipating possible misconceptions or sources of confusion or examining student work to identify the thinking errors that may be prompting incorrect answers. Such rigorous planning allows teaching to increase the clarity of instruction and better ensure student success. Ultimately, clarity is in the mind of the beholder. What is clear to the teacher may not be clear to the student. By asking students to restate key concepts and ideas, many teachers made certain that students clearly understood important concepts. 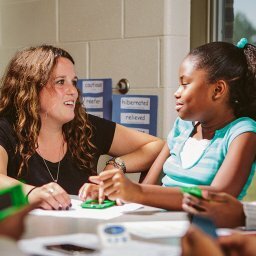 Even when teachers had worked together to plan detailed, well-sequenced, clear lessons, they checked to make sure that students could use their own words to describe or explain the major concepts teachers wanted their students to learn. Example: The teacher helps students create Venn diagrams that illustrate the similarities and differences of plant and animal cells. Then students use their diagrams as visual aids as they report their findings to peers. Expecting students to understand simply by reading text or listening to a lecture. Example: Students read the chapter about plant and animal cell characteristics and then answer the questions at the chapter’s end. Leadership Moves...Leadership that Influences the Desire to Change.